Also visit our FAQs for commonly asked questions. A good assessment is the one that tells you where you stand, makes you aware of your strengths and weaknesses, and uncovers areas where a small improvement can have a major impact on your score. Workshops – an e-GMAT invention – facilitate this process. Their effectiveness in unparalleled with any other tool in the industry. 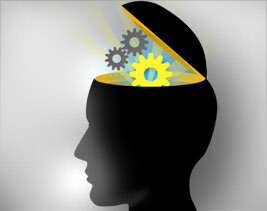 The workshops are designed to uncover your true ability in each section. So when you go through the Sentence Correction, Critical Reasoning, and Reading Comprehension Workshops, your scores and relative percentiles uncover your true ability in the corresponding sections. Above and beyond an assessment, a workshop tells you what to do next. The workshop experience is similar to that of working with a private tutor who is equipped with the analytics tools. You will come out of these workshops not only knowing where you stand but also with knowledge of what to do next to take your score to the next level. No wonder, these workshops have already helped hundreds of eGMAT-ers ace the GMAT. A true assessment has two components – firstly, it tel ls your ability in a particular section. Secondly, for every question it tells you that while answering a question, “where” your thought process wavered. 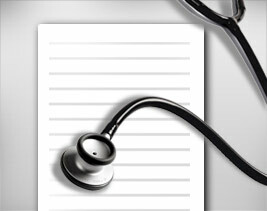 The purpose of a mock test is to provide you with an estimate of your final score. It is not designed to provide a true assessment of your ability. The Sentence Correction, Reading Comprehension, Critical Reasoning, and GMAT Verbal Workshops contain questions that are designed just for this purpose. Free of all biases: The questions uncover your true strengths and weaknesses and since they are designed exclusively for the workshop, your score will represent your true ability. Furthermore, unlike in a mock, the ability level assessment in one section (say Sentence Correction) will be independent of your performance in the other. Any biases due to timing or lack thereof are also absent. Consistency comes when you know that you followed the correct approach and answered a question correctly for the right reasons. Similarly, you improve when you precisely know where you have faltered – both in application andin the thought process. The comprehensive solutions and the discussions that follow the workshops serve both the above stated purposes. Coming out of the workshop, you would know where precisely you faltered and what you need to do next to get those easy wins. No wonder, we see a significant improvement as students go from our section workshops (SC, CR or RC) to Verbal workshops. One student improved to V42 (93 percentile) after scoring a mere 70 percentile in the Sentence Correction Workshop. Bottom Line -You will walk out of the workshop as if you have had a session with a private tutor. 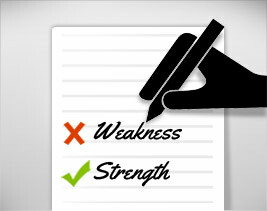 A correct assessment of your weakness (es) is very important because it helps us focus our energy on specific areas. Generic process related improvement – If you falter in certain questions because you short circuit the process. Improvement in understanding of concepts – If you have a problem applying certain concepts such as finding strengtheners in causal arguments. The questions in the workshops, the associated solutions, and the discussion that follows will help uncover these weaknesses so you have a clear path to improvement. Having helped over 5000 students ace the GMAT, one thing we realized is that your GMAT score represents only one side of the coin. On the GMAT, you get points only when you answer a question correctly. There are no points if you answered 90% of the question correctly but chose the incorrect answer because you faltered at the last step. The workshops will help you uncover such areas. Why is this important and how does this help? It helps you secure those easy wins that may improve your verbal score from 32 to 34 or 42 to 44 in a matter of days. These are bonus points that are exposed by your performance and the subsequent discussions in workshops.